Hillary Clinton said Sunday evening that Russian interference in the 2016 U.S. presidential election was an incident of such magnitude and overall consequence that it equated to a "cyber 9/11." The twice-defeated presidential candidate is currently on tour to promote her book, What Happened, and was speaking at the Southbank Centre's London Literature Festival when she made the comparison, BuzzFeed News reported. "We have a really well-respected security, intelligence veterans saying this was a ‘cyber 9/11' in the sense that it was a direct attack on our institutions," Clinton said. "That may sound dramatic but we know that they probed and tried to intrude into election systems—not just the social media propaganda part of their campaign." 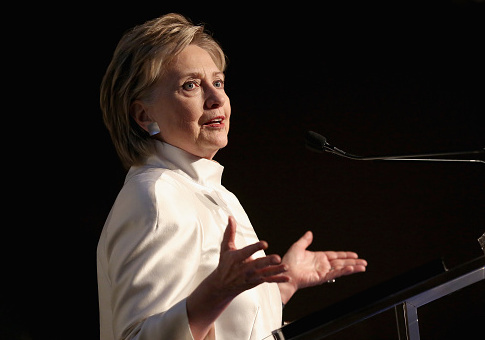 On her tour, Clinton made several references to Russian interference in the 2016 election, including key moments during the campaign where she believes the intrusions assisted Trump in winning the presidency. The defeated Democratic candidate said her campaign was not built to compete with one that included such a targeted messaging strategy by Trump's campaign and the Russians. However, she indicated the silver lining was that other countries have been able to witness the scale of the Russian cyber threat. "The Russians are not done; this is an ongoing threat," she said. Clinton said Russian President Vladimir Putin has a "strategic goal that he has followed up on relentlessly" of destabilizing Western democracies, BuzzFeed noted. Clinton recognized, however, that Russia was not the only external force that caused her to lose the election. "You've got Trump and his campaign chanting ‘lock her up.' You've got stolen emails being weaponized, raising terrible doubts about me," Clinton said. "A lot of people just didn't vote, a lot of people stayed at home, a lot of people were turned away. It just tipped against me in the end … There was just too much that went on that created doubts for people." This entry was posted in Politics and tagged 2016 Election, Hillary Clinton, Russia, September 11, The Cyber Threat. Bookmark the permalink.